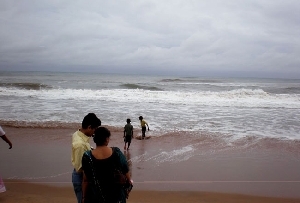 Gopalpur Beach can be visited all throughout the year. 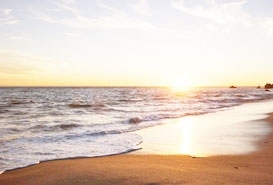 However, the best time to visit the beach is the month of October to March when the weather remains cool and pleasant. It is the perfect time to enjoy different tourist activities at the beach. There are many hotels and resorts near the Gopalpur Beach which offer comfortable accommodation options. Mayfair Palm Beach Resort, Song of the Sea, Hotel Green Park, Swosti Palm Resort, Hotel Side Sea Breeze and Hotel Sea Pearl are some good accommodation options near Gopalpur Beach. There are a number of refreshment stalls and restaurants near Gopalpur Beach where people can enjoy lip smacking dishes from different cuisines. Some good restaurants where people can treat their taste buds include Hotel Palm Court Restaurant, Hotel Bhupati, Jhankar Restaurant, Girija Restaurant and Blue Heaven Restaurant. 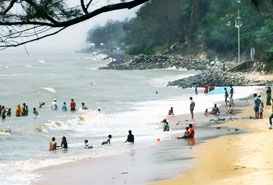 Gopalpur Beach is well connected to different corners of the world via road, rail and air. Bhubaneswar airport is the nearest airport to the beach which is located at a distance of 180kms. 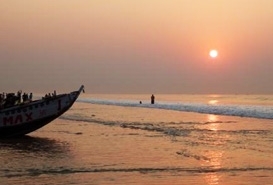 The nearest railway station to the beach is Berhampur on the Howrah-Chennai line. Via road also Gopalpur is connected to major cities of the country. Gopalpur Beach is a beautiful place to enjoy some fun time with your friends and family. There are a number of beach activities which people can enjoy at Gopalpur Beach. People can enjoy at the beach with different modes of entertainment such as swimming, horse riding, cruising and many more.